Stuart Dallas looks on in dismay as Sheffield Wednesday celebrate their win at Leeds United (Picture: Bruce Rollinson). And the comforts of the fire seemed so delightful. Two-goal Atdhe Nuhiu, left, shows his delight as does team-mate George Boyd as Sheffield Wednesday won at Leeds United (Picture: Steve Ellis). For two drifting Yorkshire sides with no positive place to go in 2017-18, the classic festive song Let It Snow brought joy for just one of them on a snow-capped Saturday amid distinctly unseasonal weather. Speaking of Christmas, it was Leeds United who came bearing gifts with the grateful beneficiary being Sheffield Wednesday’s irrepressible striker Atdhe Nuhiu, one of the few players on either side to provide inspiration and warmth during a pretty cheerless 2018 so far. Positives for both these White Rose rivals have been thin on the ground in deteriorating seasons that will not linger long in the memory banks of either set of supporters, who are pretty desperate for it to end, truth be told. Wednesday, at least, can now reflect on a first double over Leeds since 1959-60. In a forgettable campaign, this is likely to be as good as it gets. The victory, thanks to Nuhiu’s second-half double, also crucially maintained the Owls’ eight-point buffer above the Championship drop zone as they triumphed on the road for the first time under Jos Luhukay – with their previous away win having arrived on Boxing Day. If there is one source of minimal comfort for Leeds it is the fact that they amassed enough points in the first half of the season to extinguish any such worries about their divisional status. Because, make no mistake, United’s form since the end of last year has been of the relegation variety. One win in 14 Championship matches tells a sorry, contemptible story. 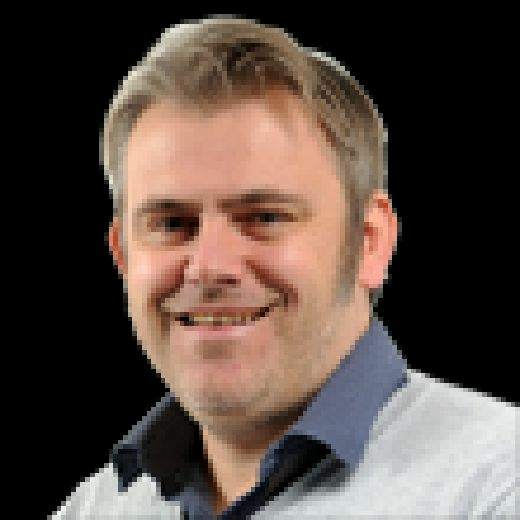 It is Wednesday who are the ones who head into the international break with a badly-needed transfusion of confidence with the sight of Sam Hutchinson and Barry Bannan back on the park – and more returnees expected soon – providing gloss to Saturday’s win amid blizzard conditions in the second half. Reflecting on a much-needed victory, Hutchinson, who made his first appearance since December 30, said: “At the end of the day, we have come to Elland Road and I have never (previously) won with Sheffield Wednesday here. We have done the job. “Sometimes, you have just got to look at it – we are in a battle, a relegation battle. To come away from home at a hard place – they have a new gaffer and new ideas – and win 2-1, no matter how you play, has got to be taken as a positive. Nuhiu’s fifth and sixth goals of 2018 again exposed United’s soft defensive underbelly. Head coach Paul Heckingbottom may have spoken about his desire for his side to outbattle opponents, but his words possessed a hollow post-match feel. More especially when Nuhiu comprehensively outmuscled Matthew Pennington in stoppage-time after Daniel Pudil’s punt forward had cleared Pennington’s central defensive partner Pontus Jansson. Nuhiu steered the ball past Bailey Peacock-Farrell before celebrating with a victory slide in front of the Kop. From a defensive perspective Nuhiu’s opener on 71 minutes also left a fair bit to be desired with Jack Hunt allowed to deliver a dangerous cross from the right that was attacked by the unmarked Adam Reach and after his angled header struck the post the Owls striker turned in the rebound. While the conviction of Nuhiu – who had earlier gone close with a neat curler that grazed the woodwork – was striking, it contrasted markedly with the distinct lack of poise from home forward Caleb Ekuban. A willing worker he may be, but his confidence levels are clearly fragile and will not have been helped by a glaring first-half miss following a brilliant free-kick routine splendidly engineered by Pablo Hernandez and Adam Forshaw. With a clear sight of goal Ekuban fired straight at Joe Wildsmith in front of goal and therein told a story. However, another striker in white in desperate need of a redemptive moment was provided one amid a late snowstorm. Substitute Jay-Roy Grot’s first goal in a fraught first season at Elland Road should have at least been enough to save a little face for Leeds when he headed home Hernandez’s left-wing cross to level the scores four minutes from time. But in keeping with United’s calamitous 2018 there was a sickening late development, just as there had been in the game at Derby County on February 21 and the wretched home loss to Millwall on January 20. 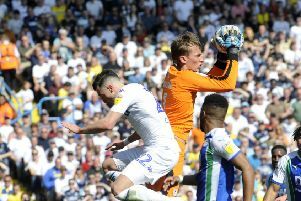 It was another painful concession with exposed goalkeeper Peacock-Farrell, one of the few home players to emerge with credit after making two accomplished first-half saves to thwart dangerman Reach, being powerless to stop Nuhiu’s late strike after Leeds were carved open through the middle. It was Leeds’s 15th concession in seven Championship games on home soil in 2018. For context they only shipped 16 league goals at Elland Road during the whole of last season. Damning is the word. For Wednesday the statistics measure up more pleasingly. Just one defeat in 14 away Yorkshire derbies now with this particular result being a rewind to happier times at least. As for Leeds, the season simply cannot be over fast enough.